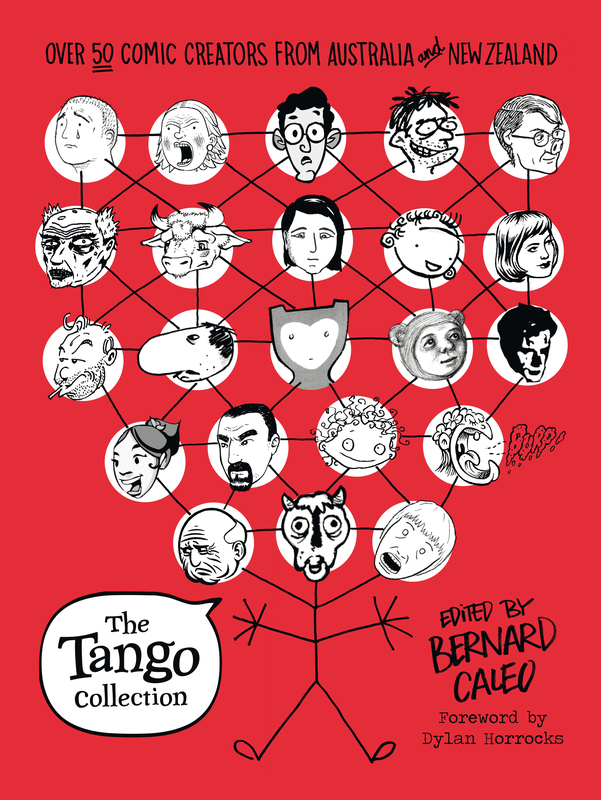 A vibrant showcase of the most creative comic book talent in Australia and New Zealand - a feast for the senses and a celebration of love in all its guises, edited by the creator of Tango. The Tango Collection is the perfect introduction for anyone curious about this exciting and versatile storytelling medium. Bernard's love of comics began with Asterix and Tintin hardcovers borrowed from the Northcote library in the 1970s, continued with superhero comics in the 1980s, and got all grown-up with 'graphic novels' in the 1990s and beyond. In 1991 he began making comic books himself: planning, writing, drawing and publishing them. Frequently these comic book series have been collaborations - Yell Ole! and The False Impressionists with Tolley, Cafe Ghetto with John Murphy - but he also flies solo, as with the stories and mini-comics featuring the character Hermann Flaneur and his ongoing online tragi-comic book I Knew Him. 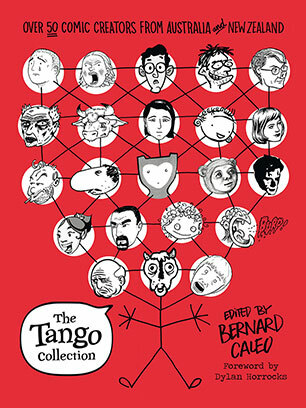 In 1997 Bernard launched the comic book publishing imprint Cardigan Comics, and he has edited and published Tango ever since. Bernard has watched comic books develop as a storytelling art, and is very excited about the directions for comic books as part of book culture and visual art culture in Australia.